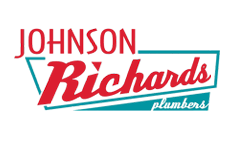 Johnson Richards offer the full range of drainage services in Northland, from the design and implementation of a new drainage system to the maintenance of a well-used one. The best drainage systems should never be noticed; if it is being discussed, it isn’t working! We have a team of highly experienced, certified drain layers, who will be able to advise, design, install and maintain complete drainage systems, from single house, standalone drainage systems to the laying of large scale commercial or residential drainage systems connecting into the mains sewerage. The risks of allowing surface or storm water to gather is great, though the risk of allowing foul water to hang around is far worse! We provide a holistic drainage service that will ensure that we, and no one else, are discussing the drainage. All our design and installation work surpasses New Zealand Codes, as we pride ourselves on designing completely bespoke systems that will work with the build, location and usage levels. We understand Northland, the weather, natural drainage and the sewerage systems; only a local expert can really guarantee that the design will work in situ. We have almost a hundred years of experience working with Whangarei sewerage and drainage, and nothing comes as a surprise. Within our service, we have all the equipment required to dig new drainage channels in the regions, and are accustomed to both the physical and political problems that you might encounter during a new drainage digging project. Whether digging new drains, new sewerage lines or repairing and maintaining existing channels, we have both the experience and the equipment to ensure that the results exceed expectations. Water pumps are an essential tool in our arsenal. Essential when digging new sewerage or drainage channels, the use of water pumps are second nature to us. However, they are not only crucial during planned projects. If an old drainage system fails, we can be on hand to keep the worst spoilage at bay while repair or redesign is completed.